With all domestic competitions taking a break for Europe this weekend it's the perfect time to take stock on how teams have fared so far. Toulon, Montpellier and Racing 92 have started the season relatively slowly compared to their high standards meaning that the two form sides in France will be featuring in Europe's second division this season - the Challenge Cup. Although Clermont and Stade Francais could field weakened sides in the competition their early season form will make them early favourites to top their respective pools. Stade Francais did some good business during the offseason bringing former Springbok coach Heyneke Meyer who let a number of players go before making some key signings. Meyer has been a revelation so far this season as Stade Francais have only gone down to Clermont and Racing 92. Clermont has started the season brilliantly while they were beaten by just 1 point in the Paris derby with Racing 92. The former Springbok coach has turned the side into a potential title threat having avoided relegation last year. Former Bulls and Springbok scrumhalf Piet van Zyl has rekindled his career under Meyer and his former teammate Morne Steyn. 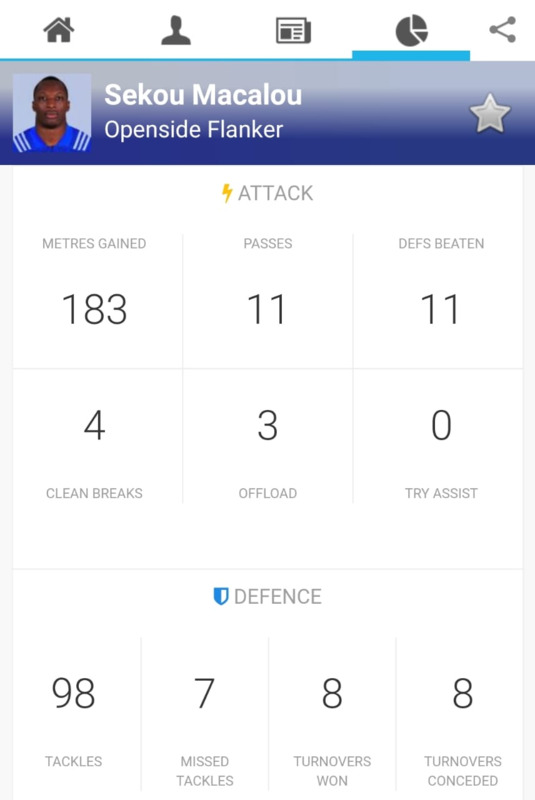 His performances have turned a number of heads and attracted some suitors looking to sign him next season, his passes are accurate and he is dangerous around the rucks. French International Gael Fickou has also been outstanding for the Paris-based side since his move from Toulouse. He is extremely lethal on attack and is solid defensively. His recent form will mean that he is almost a certainty when France's November Test squad is announced. Sekou Macalou has cemented his place in the starting line up so far this season and has been brilliant on attack and defence. He has sent some of the biggest ball carriers backwards so far this season and has racked up over 180 running metres. Clermont sit top of the Top14 table having won 5 of their first 7 games of the season scoring 40 points or more on three occasions. Like Stade Francais, Clermont also made some clever signings ahead of the 2018/19 season but have also been boosted by the return to fitness of the likes of Morgan Parra and Camille Lopez. Clermont have scored tries with relative ease this season and possess one of the most dangerous backlines in Europe. The Tongan Bear, Loni Uhila, has been exceptional so far this season, he has dominated at scrum time providing his backs with superb attacking ball. 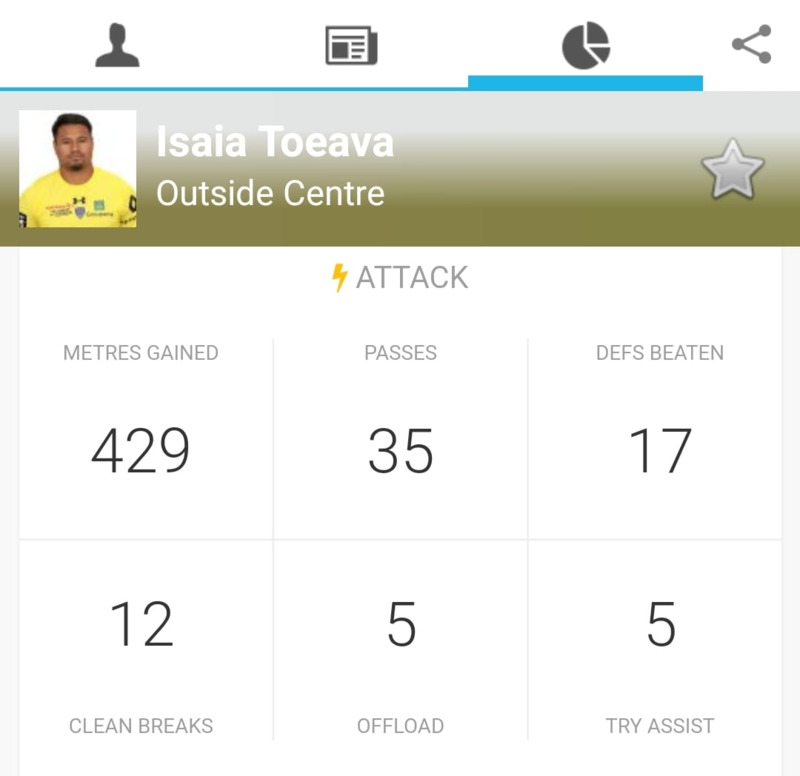 Utility back Isaia Toeava has been outstanding for Clermont to start the season scoring two tries and assisting a further 5. Only La Rochelle's Arthur Retiere has made more running metres than the former All Black while he sets on top of the Try assist (5) charts with Romain N'tamack. The French International has returned from injury in stellar form assisting 4 tries and scoring 3 in 7 games. Lopez has combined well with both of his scrumhalves - Greig Laidlaw & Morgan Parra - who have both started the season strongly as well. The playmaker is one of the best flyhalves in the game and on his day he is almost unstoppable.